WORLD TRADE CENTER TICKET FROM VISIT ON 06-12-1994. ITS KEPT ON A SMALL FRAME AWAY FROM SUNLIGHT. 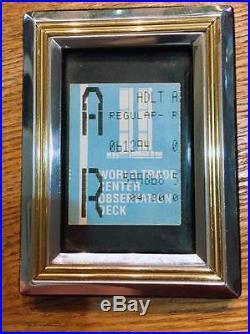 The item "WTC WORLD TRADE CENTER TICKET 23 YEARS AGO" is in sale since Monday, August 7, 2017. This item is in the category "Collectibles\Historical Memorabilia\Fairs, Parks & Architecture\Buildings". The seller is "guided25" and is located in Ymittos. This item can be shipped worldwide.